DOOZY is the debut feature from artist-filmmaker Richard Squires. 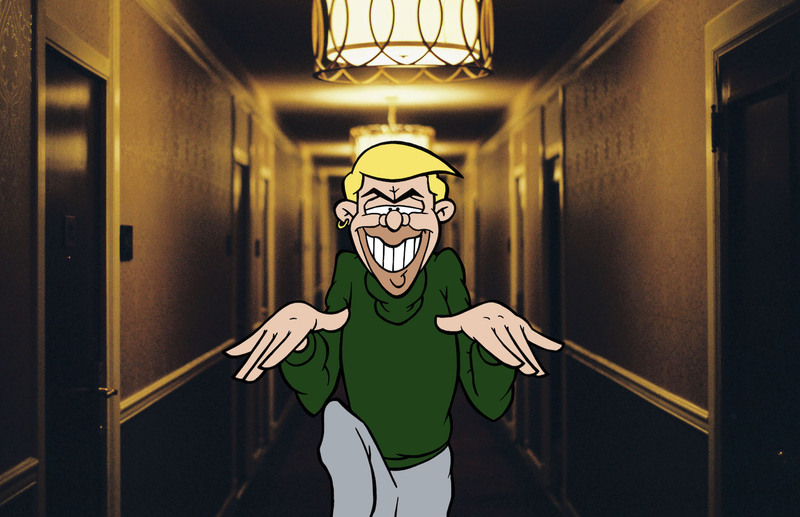 A creative documentary, it uses animated antihero ‘Clovis’ (voiced by Kids in the Hall comedian Mark McKinney) as a means to explore the voice casting of actor Paul Lynde as a series of Hanna-Barbera villains in the 1960s. Through the lens of one of Hollywood’s hidden queer histories, DOOZY contemplates cartoon villainy and hysterical masculinity; the use of voice to signify ‘otherness’’; and the frequently uneasy relationship between character and actor. Mixing original animation, re-enactment, archive and expert testimony, this is quite simply a ‘doozy’ of a film experience. DOOZY had its world premiere at BFI London Film Festival 2018 and its international premiere at Rotterdam International Film Festival 2019, competing in the Bright Future strand. The film is followed by a post-screening discussion chaired by Jose Arroyo (Lecturer in Film Studies and University of Warwick) with director Richard Squires, and producer Abigail Addison. The discussion will look at the blurred line between actor and character identities, and on screen representation of masculinity and sexuality.